Google isn't the only word that can follow OK. SoundHound has developed a voice assistant of its own, and while the project is still in invite-only beta, the newly available app is clearly going after Google Now. From the moment you utter the words OK Hound, you know you're in for something similar, but different. SoundHound thinks Hound is special due to its ability to better understand speech. The assistant responds to naturally phrased questions and can handle detailed inquiries. The example in the provided screenshots shows Hound responding to: "Show me hotels in miami with availability monday staying three nights between one hundred fifty to two hundred fifty dollars that have a pool and are pet friendly." The provided results, if accurate, are more informative than the general search Google dishes out. The ability for Hound to respond to follow-up questions, such as "Only show ones that are open past 9pm," shows that SoundHound is trying is darndest to out-Google Google. Considering the company has spent years listening to lyrics and matching them with songs, it's in a good position to try. 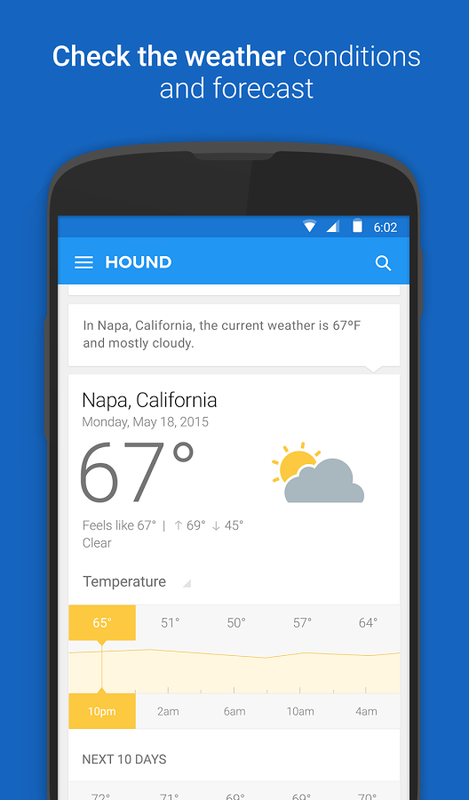 Hound can provide the weather, pull up directions, and translate words. It's also capable of searching for news, photos, video, and all kinds of mundane but useful information. And to keep things interesting, SoundHound has provided a development platform called Houndify to encourage outside innovation. 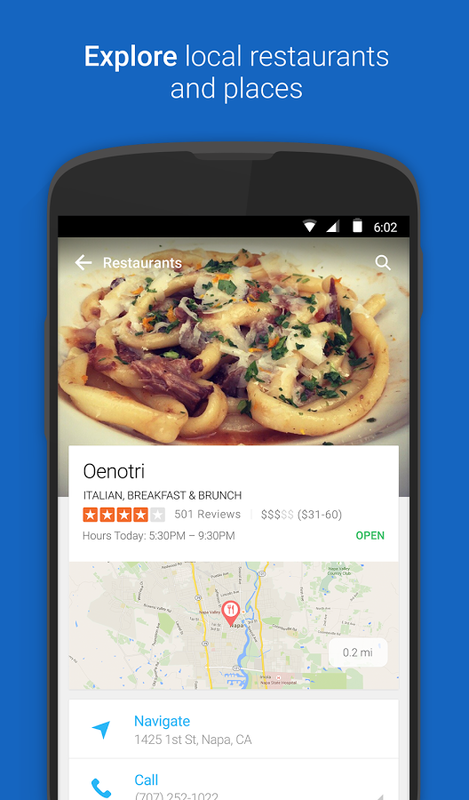 The interface is plenty material, which could be enough to pull some of our readers away from Google Voice Search. It arrives just as Microsoft and others are talking of bringing their own solutions to Android. We may soon find ourselves in a golden era of asking our phones questions without using our thumbs. SANTA CLARA, Calif.--(BUSINESS WIRE)--SoundHound Inc.®, a pioneering company in sound recognition and search technologies, ushers in a new era of mobile computing with the launch of Hound®. Hound is a mobile voice interface, downloadable as an app, which gives users the ability to speak naturally and get deep results to what they ask for, such as looking up the weather, placing a phone call, sending a text message, finding a hotel that matches their detailed criteria, navigating to an address, finding their flight status, checking the stock market, searching and playing music, and even playing interactive games. 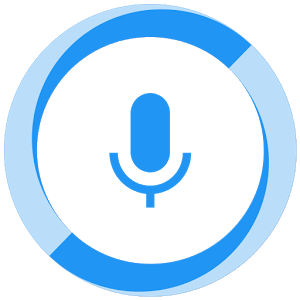 While older voice services use word and phrase detection to generate search results, Hound combines voice recognition and natural language understanding in real-time to deliver the fastest and most accurate results seen on a mobile voice service to-date. 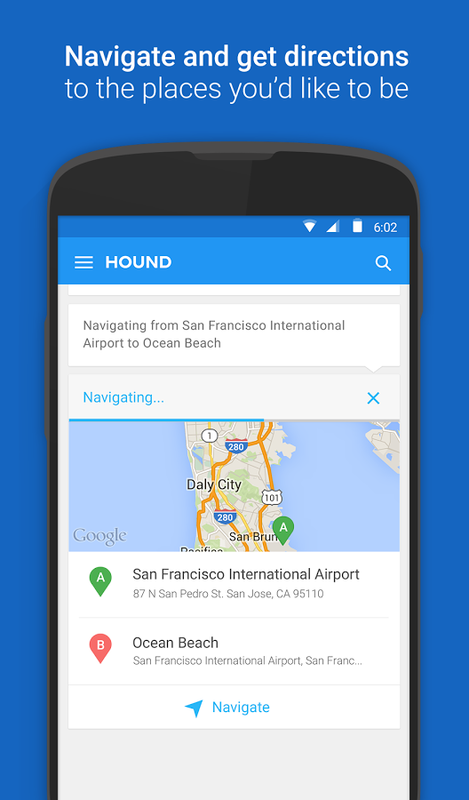 Hound is now in private beta for Android, with a launch on iOS coming soon. Known publicly as the company behind SoundHound, the music search, discovery and play app with more than 260 million unique downloads globally, SoundHound Inc. has been in stealth mode with its voice technology research and development over the last decade, quietly building the technology ingredients and a product that elegantly solves the challenge of enabling fast and accurate voice search when people speak naturally. A brand new technology that combines speech recognition and natural language understanding simultaneously and in real-time. Compared to traditional approaches that perform speech recognition first, then send the result to a search or understanding engine, Hound’s Speech-to-Meaning engine delivers unprecedented speed and accuracy. The ability to handle complex, natural language sentences, including compound criteria, exclusions and negation. 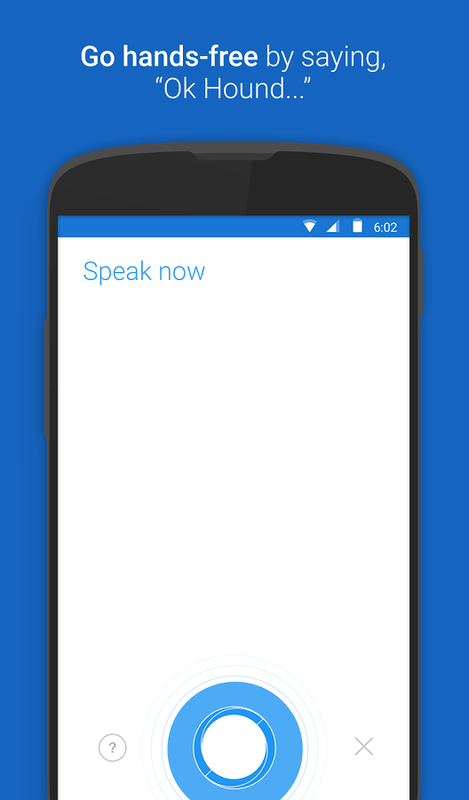 This empowers users to speak more naturally, and be more detailed and specific, versus speaking in key-word fragments. The ability to evolve more rapidly through SoundHound Inc.’s new developer platform, Houndify™. This allows rapid development cycles, inclusion of new domains, and the ability to scale faster than traditional voice technology solutions. In turn, users will be able to Hound even more topics, experience interactive information search, and even play voice-enabled games. 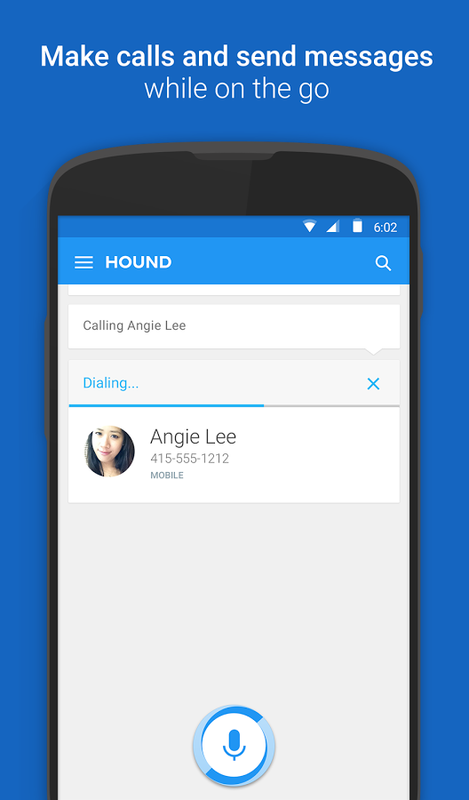 Hound can become second-nature to those seeking reliable, accurate and quick search results, and doing assistant-like tasks such as navigating, sending email and text messages, and setting an alarm or a timer. Hound is not a “personality,” but instead a verb that enables a swift and intuitive interface alternative to typing, tapping and swiping. 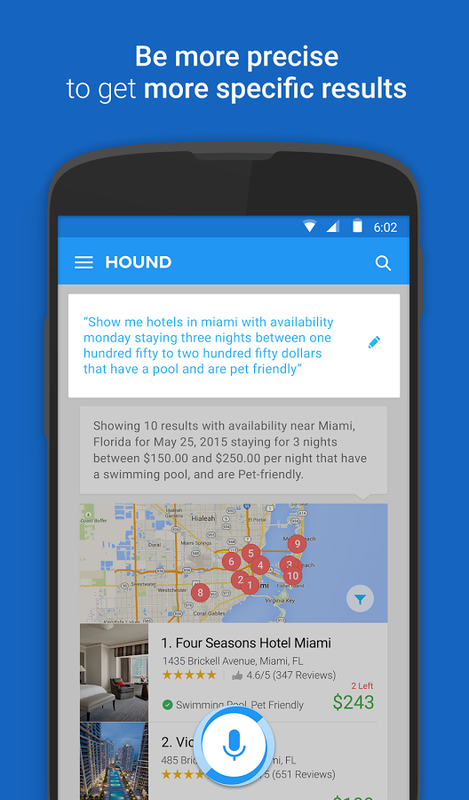 "Hound will redefine the way we interact with devices, information, and services," said Keyvan Mohajer, founder and CEO, SoundHound Inc. "We believe in a world where we speak to the things around us just as we speak to each other, and we have worked tirelessly for nearly a decade to create the technology that realizes this vision." 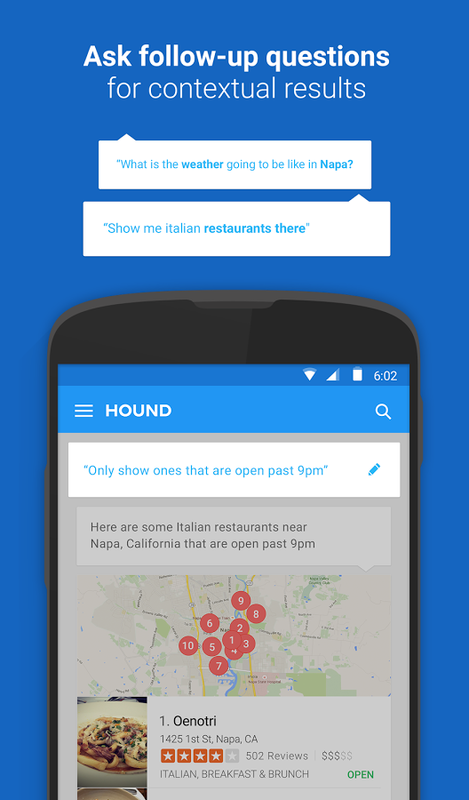 Hound will launch with an arsenal of “domains,” with general web search considered one domain. Others include everyday use-case tasks or searches such as: navigation, local search, weather, stocks, hotels, time zones, geography, news, photo and video search, mortgage calculation, currency conversion, flight status, and many more. With the vision to enable other apps, connected devices, and, ultimately, the Internet of Things, SoundHound Inc. also introduces Houndify, a developer platform to create a smart, voice-enabled, conversational interface to anything. The Houndify platform is simple for developers to use and enables them to leverage SoundHound Inc.’s Speech-to-Meaning technology and deploy their experiences across all major platforms. This means that innovators across major industries such as automotive, retail, quick-serve restaurants, consumer electronics, entertainment, finance, and medical devices, as well as individual developers who build mobile apps, can leverage the technology behind Hound. Once integrated with the voice interface capability, their respective product, service or experience becomes Houndified. "Houndify is an operating system-agnostic, one-stop destination for all the necessary technology components, including fast and accurate large-scale speech recognition, powerful natural language understanding, and numerous existing Houndified domains," added Mohajer. "These technologies take years to develop, and are generally not available to new startups or even larger companies. By opening Houndify as a developer platform, we aim to empower developers of all levels to create and innovate, because they understand their offering better than anyone else." All others interested in joining the beta can download Hound from the Google Play store and request an invitation. 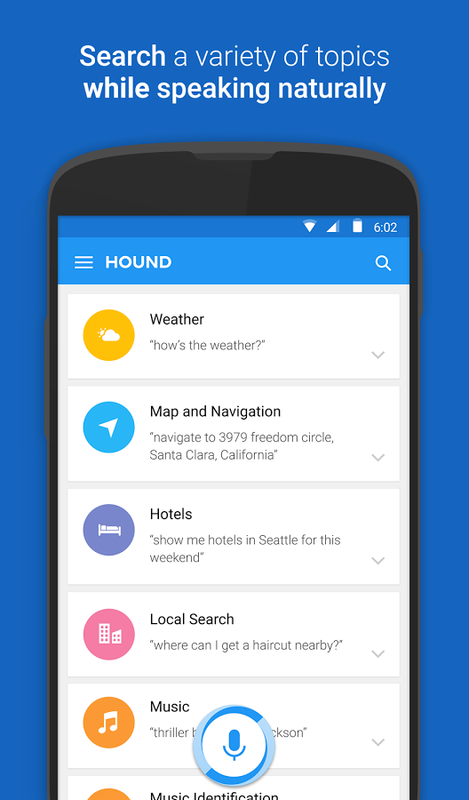 To learn more about Hound, please visit http://www.soundhound.com/hound/video.